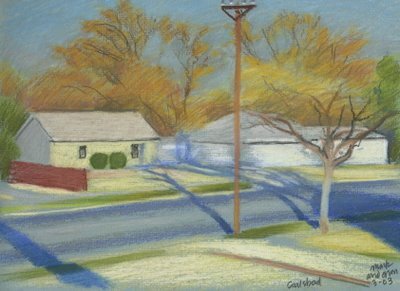 Anderson Studiowork: An ArtBlog: Blodgett St.
8.5 x 12 inches, chalk pastel on paper. This early-morning study of light and shadow was the view from our bat-infested apartment building in Carlsbad, New Mexico, 2003. The weather that spring was mostly perfect, and consistent: sunny and warm, not yet hot. For an on-location (plein-air) painter day-to-day consistency is a good thing. It makes it possible to paint from the subject in more or less the same lighting. The bats? They lived in the roof and we could hear them squeaking and moving about. At dusk they would shoot out into the darkening sky from under the eaves, one by one, like stormtroopers. That was the best winter of my life. Nothing like the winters I remember in northwest Iowa. 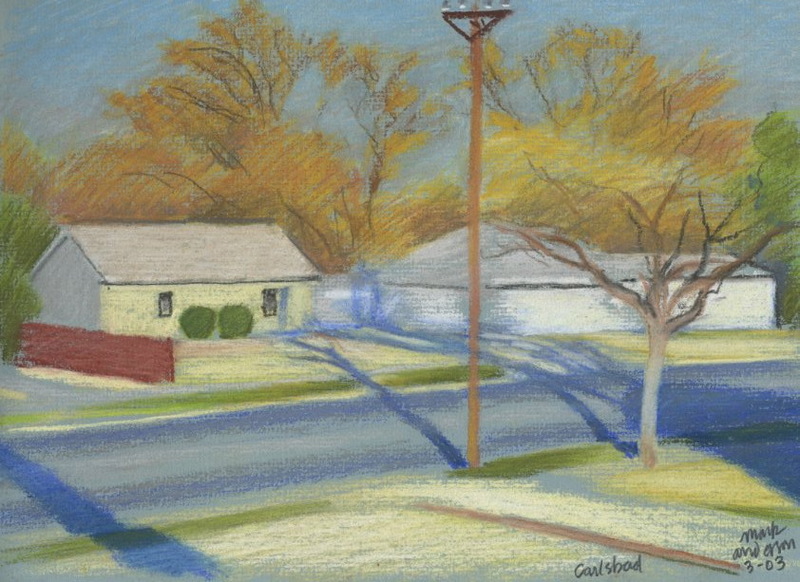 This is a nice study of a suburban street that could be anywhere in the United States.